Rodeo is a sport which emerged out of the working practices of cattle herding. This competitive sport was well practiced in Mexico, Spain and later in the United States, South America, Australia and Canada. These sports require skilled cowboys. Thus, boots played an important role as rodeo sports require hard, sturdy and comfortable boots. Men’s rodeo boots are also known as cowboy boots. These are special type of riding boots made up of cowhide leather. The moment a man wears these shoes, it gives an eye catching look. Men’s rodeo boots are usually made up of cow hyde leather but are sometimes made from exotic skins like snake, ostrich, lizard, alligator, eel, elephant, stingray, buffalo, elk and many more. There are two styles of rodeo boots: Western (the classic style) and roper (the casual style). The classic style has a tall boot shaft with angled heel which is over one inch high. The roper style has a short boot shaft with a very low squared off heel, shaped to the sole of the boot. Cowboy shoes are always custom made, but as they became more in-demand, various companies emerged with the idea of capitalizing it in the market and making it available to the customers. Our online portal inundates you with variety of rodeo boots including other cowboy shoes, crafted with artistic hands to make your feet breathe like never before. There are two different ways of constructing cowboy boots. It is welted or cemented. In the welted, the upper part of the boot is stitched to the stole. In the cemented, the upper part of the boot is glued with sole. There are numerous procedure followed to make these boots. 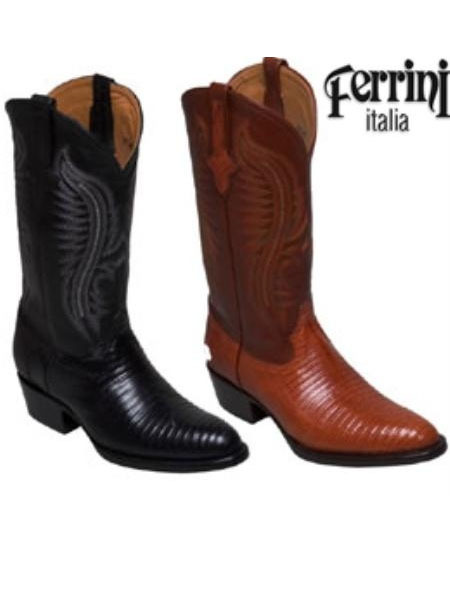 Our online portal provides you with the best computer fancy stitched men’s rodeo boots. Various designs and styles are crafted and are made available in our e-store. These boots are designed with a lip above the heel to hold the gad. The heel of the boot is relatively high and overshot. These boots are highly decorated. They come in western and Buckaroo styles. It is important to get the right shape and our online portal has crafted the boots in such a way to give your feet the right shape and fit. Feel the comfort when you wear impeccably made cowboy boots displayed at an exceptional price. • Square toes are shaped into half-box or quarter box shapes. • Round toes are similar to work boots. • Pointed toes are globally popular which are also crafted along with narrow-box toes. There are two types of heels, one is straight cut heels and the other is undershot heels. The soles are generally made up of smooth leather. Cowboy boots often have soles of synthetic material planned and designed to stand up to chemicals and to remain well-heeled on concrete floors. A rodeo boot is constructed to last for a long time. But it is important to take care of the boots as it is made up of leather and other animal skin. These boots should be kept on a cedar to help keep the boot’s shape. Cedar also helps in deodorizing the boots. Specific care should be taken according to the manufacturer’s direction. • Wiping off the dust- it is very important to wipe off the dust. As boots are made up of skin, it will react in the same way as the skin does. Dust settles on the creases of the boots, so make sure everything is wiped out. • Applying a quality conditioner- it is crucial to apply a lather conditioner on the leather. Once it gets dried, it should be buffed with a soft cloth. This instantly gives a shine to the leather and your boot’s longevity increases. The life of the boot automatically gets extended if these simple steps are adopted. While you are buying a boot for the first time, it is important to consider how well you can off the heels. Men’s rodeo boots are available in various shoe stores and e-stores. Our online portal gives you the style and makes you look elegant. These boots have been in fashion since ages and still the demand is on. Click It, Grab It, And Flaunt It! Men’s rodeo boots come in many shapes and designs. It is like a seventies style maxico boot that people still crave for. These boots come in black, brown and red colors. It decorated in orange, green, white and blue colors. A cowboy hat, a rodeo boot, a classic belt with a tasteful buckle, a good pair of jeans and a shirt in a solid color or a basic print completes the look. Our online portal is just one place where you can grab these things.